Home	> Insiders	> Hannah S.
I joined the business in September 2016 on the School Leaver Program. This training scheme couldn't have suited me better as it was hands on from day one. I chose this scheme instead of a university degree as I wanted this on-the-job experience. The majority of my training was in two of our large stores, across all areas of the business. I also took part of projects such as business trials and store openings which was fantastic. I landed my first role as a Commercial Manager of clothing and loved it. I was quickly moved on to the position that I hold now as Store Manager. 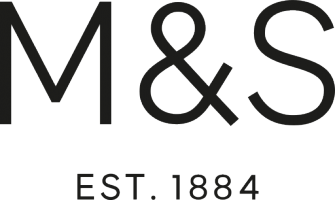 I have loved my fast-paced career with M&S and it does show that you get out what you put in. I love the job I'm in and would do anything for my store and my team. I am very proactive and love to see progress in the store and the team so this role is perfect for me. I work very hands on to ensure that we deliver all our KPIs such as sales and staffing, as well as developing the team in store. As I came through an Early Careers route, I take great pride in seeing other young people develop themselves. This current position has given me a good handful of opportunities to oversee this. I work within the team of Store Managers in my region and the Retail Centre that I am based in to ensure that we are doing everything right for the customer. Making changes for the benefit of my team and the future of the store. It pays to be organised in this position as there are many plates spinning at one time. The team and the customer always come first in my eyes, and everything I do has them in mind. Being creative is a great part of this position. I run an outlet store which requires a very commercial mindset as products are changing constantly throughout the week. Trust yourself and go for it! If you're given the chance, its probably because somebody else believes you can do it. So even if you're a bit unsure, give it a try! I received 2 awards for my store in the first 6 months. My first award was two months into the job for a staff satisfaction survey. This was fantastic as the store had been though a lot of change. The second was for store manager of the month for a very busy October. Having your efforts recognised makes the job so fulfilling. I'm a male, but prefer to wear a female uniform, would this be a problem if I was to apply and get a job with M&S? How did you find going from school into the school leaver programme? What kind of support did you get? Hi, where can I apply for a role at M&S?